View More In Disposable Napkins. lt;stronggt;PAG34884lt;/stronggt;lt;BR/gt;Procter amp; Gamble Professional Quilted Napkinslt;BR/gt;Wipe away the messiest of messes with a soft touch. Materials: Paper Colors: White Width: 12 1/10amp;quot;.lt;BR/gt;lt;BR/gt;lt;stronggt;BWKCOMBOKITlt;/stronggt;lt;BR/gt;Procter amp; Gamble Professional Quilted Napkinslt;BR/gt;Serve any meal with this cutlery kit. 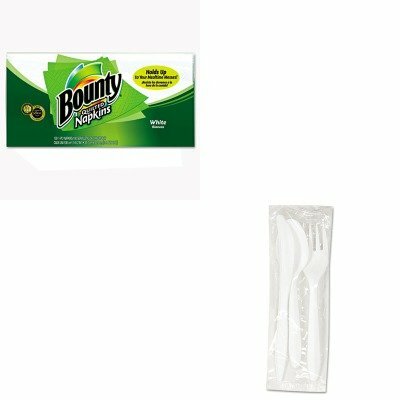 Each pre-packaged wrapping contains a plastic medium weight fork, spoon and knife, as well as salt and pepper packets and a napkin. Utensils Type: Combo Set Materials: Polypropylene Colors: White. If you have any questions about this product by Procter & Gamble, contact us by completing and submitting the form below. If you are looking for a specif part number, please include it with your message. Georgia Pacific Professional - 1/8 Fold Dinner Napkins 15 X 16 White 3000/Carton "Product Category: Breakroom And Janitorial/Food Service Supplies"